As the weather warms up a bit, it’s time to get out and get some more sunlight, and where’s the best place to go? Montana Family Market, of course! We have a great line up of artists to make your Saturdays and Sundays even more enjoyable. We support a unified South Africa, and we’re happy that Zanzi Africa can bring it all together so well. Zanzi performs with her Gembee drummer, and together they celebrate the rich culture that is SA. She sings in English, Zulu, Xhosa, Shona, Afrikaans, and more, showing just how beautifully talented she is. See “Chase the Sun” here. We’re branching out to some new entertainment at Montana Family Market. Get ready for some live wrestling! SAPW is ready to wow and surprise with their intense moves and wrestling skill. Root for your favourite wrestler and be sure to show your support! Having studied music and first found a career singing with the Barnyard-groep, Monque Steyn has since moved on to a solo career. As a beautiful inspiration to all women and girls about following your dream, we thought it fitting to ask her to sing to celebrate women’s day with us. Young and energetic, we’re happy to welcome Charlene back to our stage. 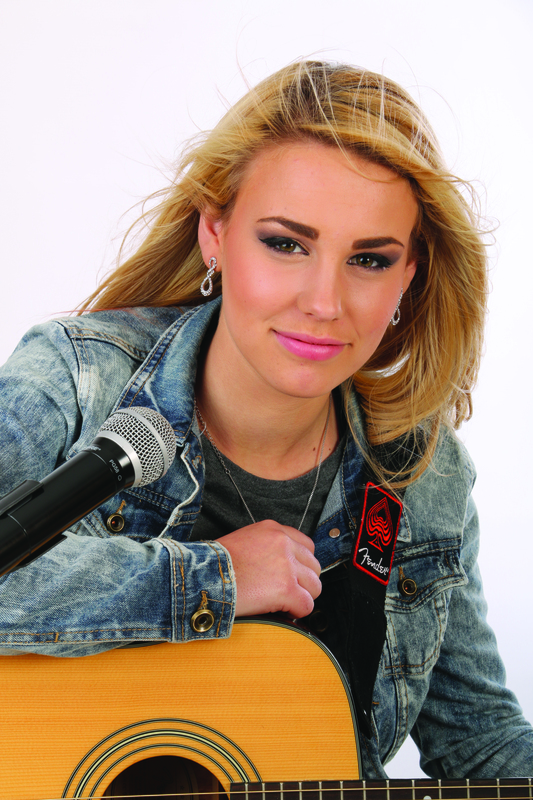 With talents ranging from country, rock, and pop in both English and Afrikaans, she’ll keep the crowd entertained. With two of her own albums and her new single, “Saam Met Jou”, released just last year, Charlene is original and fresh. See “Saam Met Jou” here. A deep soul, Len Muller pours out his heart in his music. He’s happy to announce his new album, “Oog van die Storm” and he says it surpasses his previous work. With a soulful voice to echo his intense spirit, he’ll bring you to tears and keep your attention the whole show through. Having studied music, Elme Churr was made for this life. She sang from a very young age and after her studies, wnet on to perform and tour nationally in musical theatre. She since branched off into a solo career, and we’re so glad she has! Be sure you don’t miss this exceptionally talented young lady! See “Liefde Is Nie Liefde Sonder Jou Nie” here. A top 30 contestant on Idols, Jaycee Crause is on his way to the top of the music industry. Having come off a farm in the Free State, Jaycee moved to the city to seek a life in entertainment; and he loves it! His happiness on stage is contagious and his songs will have you tapping your feet along. On the very first season of the Voice SA, Johan Anker was already making waves. He’s now continuing on that path having just release his first album, “Hoop & Bid”. We’re happy to welcome him to our stage with his funky classical crossover vibe. You never know what type of a fun time you’ll have with him! See “Hoop & Bid” here. Nicholis Louw isn’t a new name, which is clear by his number of gold, platinum and even triple platinum records. He’s traveled country-wide and now he’s stopping by us for a one day performance. Known for his lively performances, you won’t be able to help but dance and sing along as he lets loose on stage.